Jet Set Radio Fan Art! If I wasn’t already excited enough about the Jet Set Radio (from the Dreamcast) HD remake, then this has just pushed me over that fandom line!! I got linked this yesterday by somebody who came across I think the first cosplay of me.. Ever! Fan Art – Licky Licky Protagonist! I’m going to start featuring fan art on the website because, hey! Why not?! 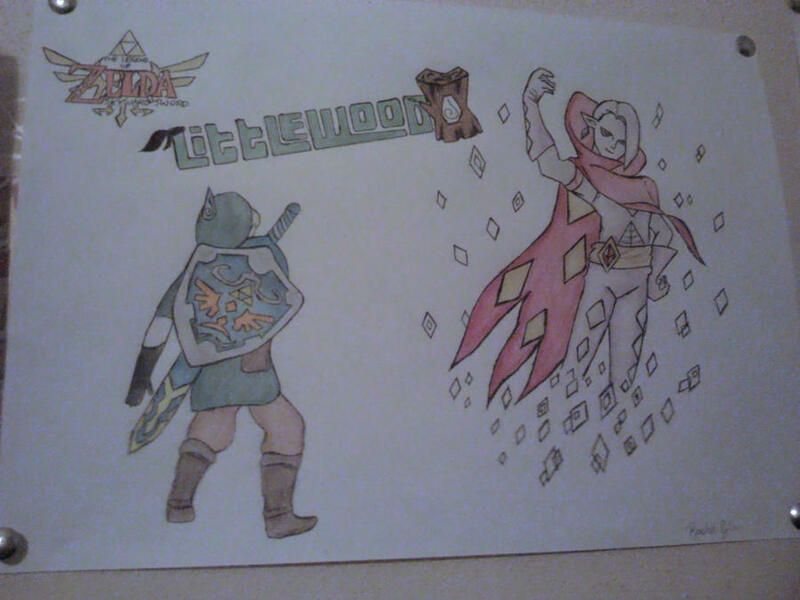 This piece is from Racheii and it’s a pretty sweet hand drawn piece! A little detail I noticed and giggled at was Link’s nervous sweat bead has the sapling logo inside it!